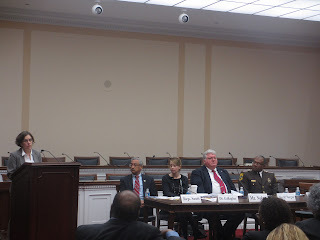 Gabriel Morgan, Sheriff of the City of Newport News, VA is someone you might expect would promote “tough on crime” policies, but during the briefing, he shared perspective with what he called a “perfect storm.” “Whereas the right wants to cut prevention programs and the left wants to cut grants that are tough on crime, mentoring works,” he said. “And the Youth PROMISE Act puts in for that, it puts money into programs that are proven.” So after listening to what Sheriff Morgan and the rest of the speakers on the panel had to say, I became a strong supporter of the Youth PROMISE Act. Why continue to spend money in response to crime when it could be directed toward programs that prevent it? Dr. Gallagher, Director of the Cochrane Collaboration College for Policy at George Mason University spoke about the Youth PROMISE Act as it relates to medical costs attributed to guns and gun-related injuries. The amount of money hospitals charged victims of firearm related injuries was $38 million more than the federal budget for juvenile justice prevention programs. The PROMISE model takes a unique approach to juvenile crime policy as it considers all possible outcomes such as teen pregnancy, parenting, education, etc. in addition to multiple levels of youth development. By addressing the root cause of violent behavior, the Youth PROMISE Act offers the best opportunity for reducing gang violence and subsequently reducing financial and public health costs. Tracy Velázquez, JPI’s Executive Director drew upon a recently published report titled Education Under Arrest: The Case Against Police in Schools to highlight evidence-based programs as a method of keeping children in school and out of the justice system. Studies show there is a direct correlation between investment in education and community safety. Investing in education not only strengthens youth social ties, but it generates cost savings in crime-related expenses as youth are preoccupied during the day and less likely to engage in illegal activity. Children who stay in school have less involvement in the justice system. Likewise, early childhood programs reduce future justice involvement. What does this tell us? Education is a significant predictive factor in involvement in the justice system. Conversely, the "School to Prison Pipeline" has been shown to be a one-way ticket for youth involvement in the justice system. The “School to Prison Pipeline” is a term used to describe strict school policies and court involvement. While investing in education strengthens social ties, this approach seems to have the opposite effect by making youth feel alienated and disconnected from school. Velázquez noted that we need to find alternative ways to improve the outcome of youth and do not increase their justice involvement. It is not to say that youth should not be held accountable for their actions, but stricter policies and court involvement have negative effects on youth that put them at a greater risk for dropping out of school and becoming involved with the justice system. 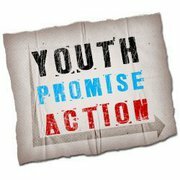 An evidence-based approach as exemplified by the Youth PROMISE Act is the best way to reduce future justice involvement and save money. Karina Watts is a JPI is an intern at JPI and a graduate student at George Mason University.